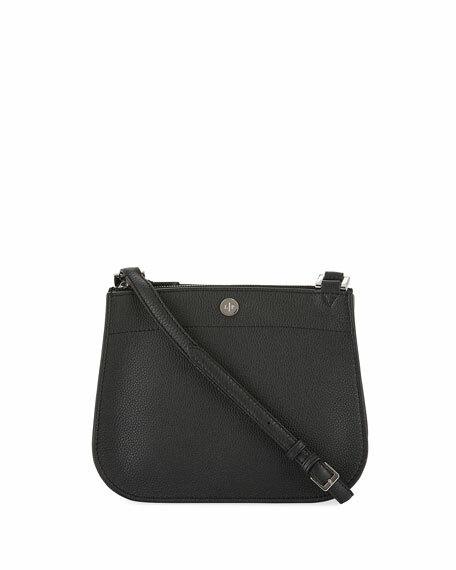 Loro Piana crossbody bag in Odessa calfskin. 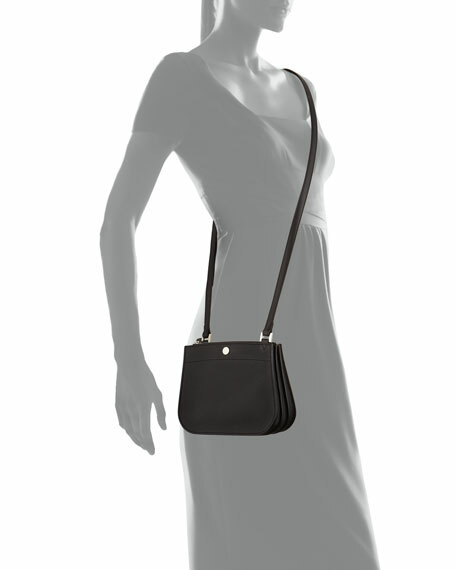 Adjustable shoulder strap, 22.8" drop. Front and back slip pockets with snap closure. Logo medallion at top center. 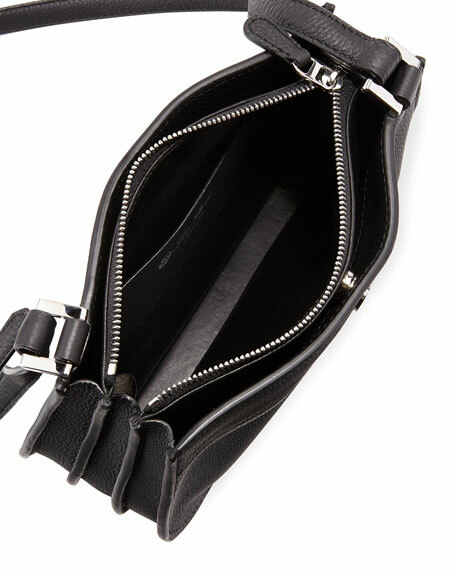 Interior, napa leather lining; one slip pocket. 6.5"H x 8"W x 2"D; weighs 13.5 oz. "Milky Way" is made in Italy.